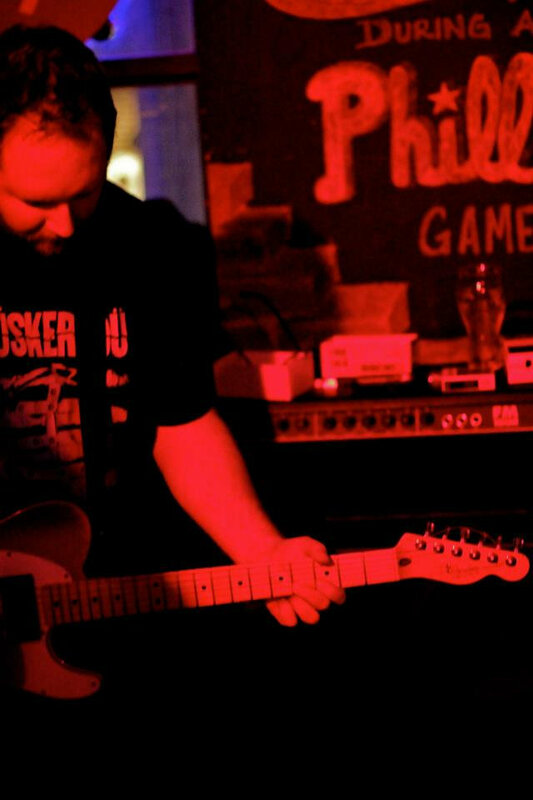 Nick Rossi is a veteran musician in the Philly scene, but he’s struck out on his own with his new project Tallboy. Rossi just released his first EP under the moniker — called Life is Terrible and Everyone is Insane, it’s out now digitally and physically. Tallboy is a one-man project, with Rossi singlehandedly covering all aspects of writing and recording. Though it’s the musician’s first solo release, he’s become a familiar face around town over the last decade or two, appearing with acts such as Johnny Miles, Robot Hearts, and Tachyon Radio; he also currently plays bass in rebel folk band Poison Street. Rossi described the EP in an email. “It’s basically a loose concept record about mental illness – the triggers, trying to manage it, and the fallout after failing to do so….I’m hoping to make a connection with other people who are struggling so neither of us have to feel so alone. With some of the songwriting on the EP dating back 15 years, and some of it brand new, it’s no surprise that Ross blends together a range of influences into a cohesive sound. Life is Terrible and Everyone is Insane begins loud with a heavy dose of high-energy punk, full of what’s been described as “self-deprecating lyricism out the wazoo,” before slowing down on the last two tracks for a quieter, reflective ending. Life is Terrible and Everyone is Insane is available on streaming services and in CD form. Listen below via Bandcamp.